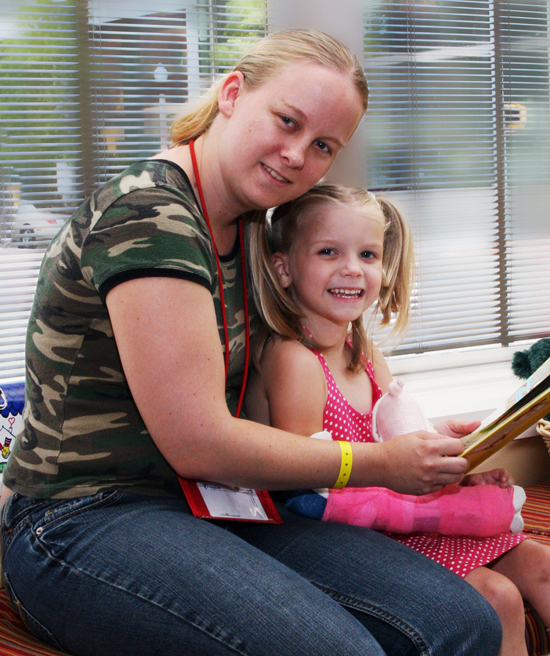 The Ronald McDonald House Charities of Alabama (RMHCA) provides a warm, safe, comfortable place to stay for families of critically injured or seriously ill children who are hospitalized or receiving treatment from any of the Birmingham area medical facilities or offices. The Ronald McDonald House is located at 1700 4th Avenue South, Birmingham, AL 35233. Our driveway where you will load and unload your vehicles is located on 17th Street South between 3rd and 4th Avenue South. CONSTRUCTION UPDATES: ALDOT is preparing to close Interstate I-20/59 through downtown Birmingham on January 18 for approximately 14 months while they rebuild a portion of the interstate. Please be aware that this construction will adjust how families reach the Ronald McDonald House. If you are traveling I-20/59 Westbound (from Gadsden/Atlanta): Take the 25th Street exit (126A) or the Red Mountain Expressway to access downtown. According to ALDOT, these exits will remain open through most of the construction. We recommend the expressway, then take the 3rd-4th Ave S exit. Follow along 3rd Avenue South and turn left onto 17th Street South, where you will see our driveway and entrance. If you are detouring around the city, exit at Carraway Boulevard to take Finley Boulevard around the city and access I-65 or reconnect with I-20/59 at the Arkadelphia Road exit. If you are traveling I-20/59 Eastbound (from Tuscaloosa): To get downtown, get off at 17th Street North (exit 125A) or I-65 South to 4th Avenue South. We recommend getting off at 4th Avenue South if possible. You can drive along 4th Avenue South and then turn left onto 17th Street South where you will find our entrance and driveway. If you are detouring around the city, exit at Arkadelphia Road (exit 123) or I-65 North to Finley Boulevard to Carraway Boulevard. From there, you can reconnect with I-20/59. The family’s child (patient) must be 18 years of age or younger. The child must either be an inpatient or an outpatient receiving continuous treatment. A referral form submitted by the medical provider primarily responsible for the child’s care must be sent to the Ronald McDonald House. This request should be made as far in advance as possible. Please contact the Social Services office at your medical provider for referral information. Families must live outside of Jefferson County. All adult guests must provide photo identification and agree to a background check. Once a referral is submitted, please complete the background check form. Still have questions? See our Frequently Asked Questions page for more information! 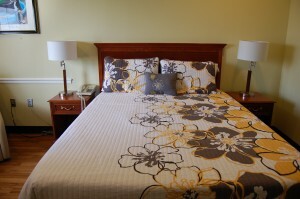 At the Ronald McDonald House, each family is assigned to one of 73 bedrooms with private bathrooms. All families share two large family kitchens and cozy family dining room in the west wing as well as a larger dining room in the east wing. The kitchen is stocked with basic kitchen items, including: pots, pans, dishes, utensils, glassware and some basic food items. A large, comfortable living room, library and indoor play area are also available for use. In addition, we have a playground and courtyard for a cheerful and restful outdoor environment. While the House provides linens, towels, cleaning supplies, basic toiletries and basic food staples, we recommend that families bring any additional personal or food needs. A laundry room with a detergent dispenser is also on site. A donation is not required to stay at the house and no eligible family is ever asked to leave the House or denied future stays because they could not or did not make a donation. There is however a deposit of $15 required for keys when you check in. This deposit will be refunded when you check out and return all keys. RMHCA management reserves the right to make final determinations, at its sole discretion, about eligibility for initial, continued or repeat stays by any family, as well as room location and (re)assignment. In order to maintain the comfortable and pleasant atmosphere of the House, it is necessary for all families to help by cleaning up after themselves in all common areas (kitchen, play areas, etc.) and their assigned room and by respecting the rights of other families and the rules of the House. In order to determine if we are the appropriate place for you and your family to stay, please contact your social worker at the hospital. If you would like to tell us your family story about your connection with RMHCA, we would love to hear it. Simply fill out the form and someone will get in touch with you!